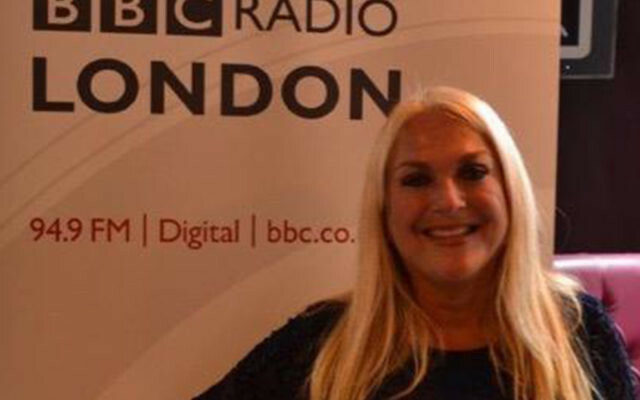 BBC presenter Vanessa Feltz has described a Sunday Times column that suggested she and Claudia Winkleman are well paid because they are Jewish as “horrifying racism”. She said the piece by columnist Kevin Myers was “every vile stereotype about what Jewish people have ever been deemed to be by racists”. 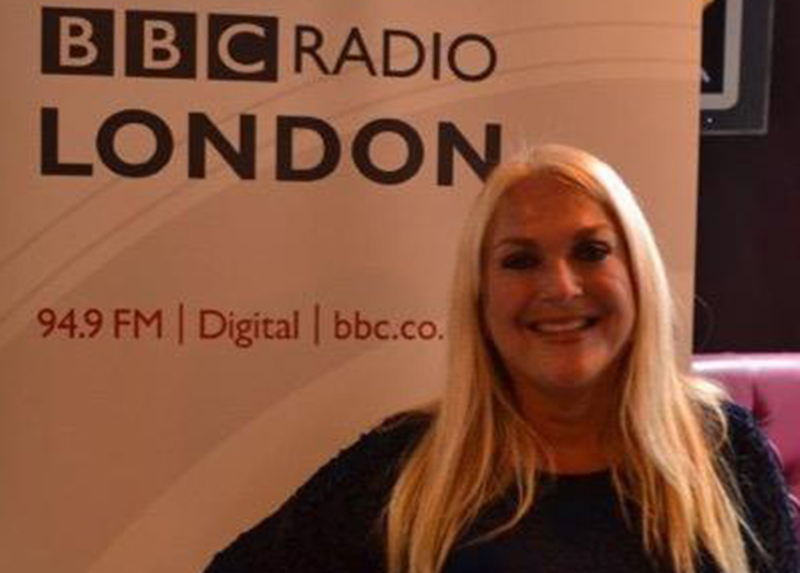 Speaking on the breakfast show on BBC Radio London, Ms Feltz questioned how something “so blatantly racist” was allowed in the paper. “When someone alerted me to it … I couldn’t believe such a thing had been printed. It is absolutely gratuitous, not cleverly done, it’s blatant racism. When you see it like that it’s very horrifying,” said Ms Feltz. 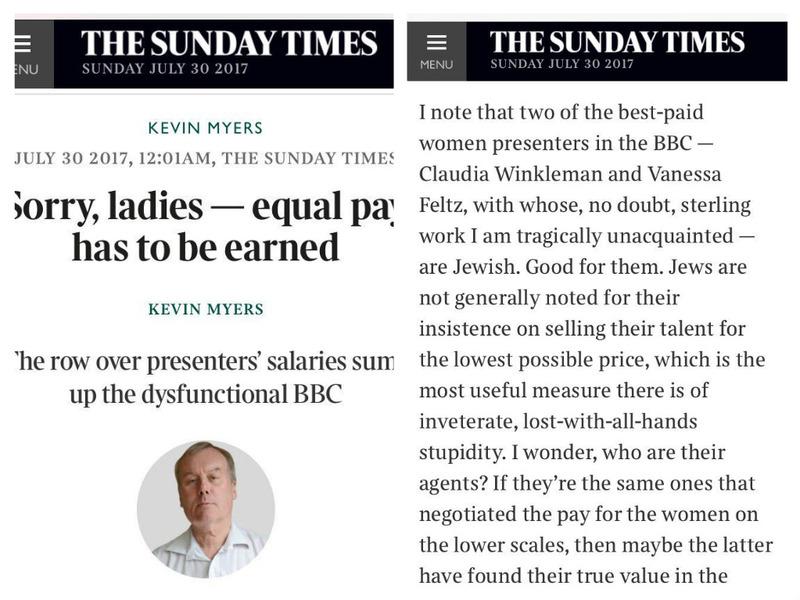 The column, with the headline: “Sorry, ladies – equal pay has to be earned”, follows criticism of the BBC, after it was revealed two-thirds of its stars earning more than £150,000 are male. Times readers – who must pay a subscription to access online content – commented on the original article to express their disgust. Mr Ivens offered the paper’s “sincere apology, both for the remarks and the error of judgment that led to publication”. The editor of the Sunday Times, Martin Ivens called JLC Chairman Jonathan Goldstein to apologise to the community. Goldstein said: “We will meet in September and Mr Ivens has agreed then to discuss how this article managed to get through the editorial process. “I am grateful for the swift initial steps taken by Mr Ivens. However, given the record-breaking rise in anti-Semitic incidents reported by CST and anti-Semitism’s unfortunate prominence in our national discourse over recent months, it is the editorial process that remains a concern. A News UK spokesman said the column included “unacceptable comments both to Jewish people and to women in the workplace”. The newspaper has said Mr Myers “will not write again” for the Sunday Times.